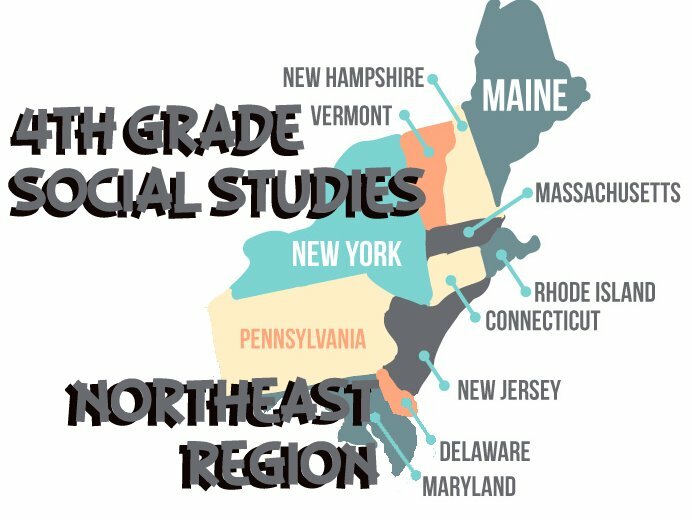 This fourth grade social studies lesson will focus on the Northeastern States of the U.S. In this unit, you will find a study guide that you can print out and give to your students or use as an answer key for homeschooling. There are also eight different worksheets that will quiz your child on state locations, their capitals, and finally, their abbreviations. The first printout below is a simple study guide that you can use in the classroom or at home. It shows where the states are located on the map, their abbreviations, and capitals. The next 3 papers cover identifying the states on the map. 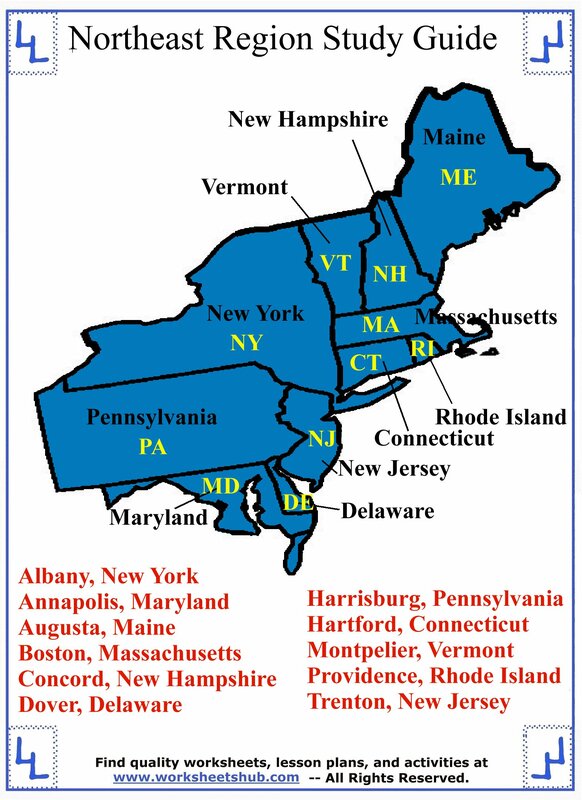 Each state has a number on it (or a line pointing from a number to the state), below the map is an alphabetical list of the states. Students need to write the correct number of each state in the box next to its name. The next social studies paper focuses on abbreviations. Each location is labeled with its full name. In the box next to the name, your child needs to write the correct abbreviation. 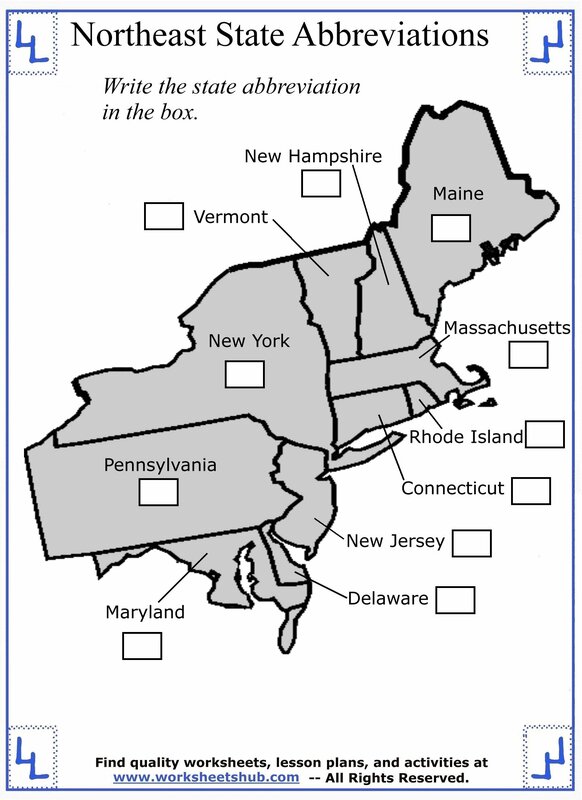 Then you will see a handout that labels each state according to its abbreviation. Next to the abbreviation, your student needs to write the capital for that state. There is a list of all of the capitals at the bottom of the sheet. 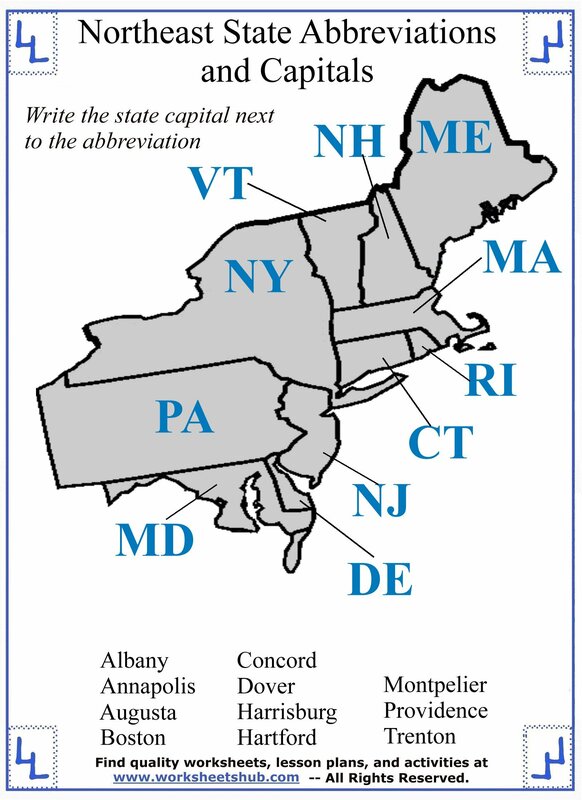 If it's easier, you may have students write the abbreviation next to the city. The last three worksheets focus more on the capitals. 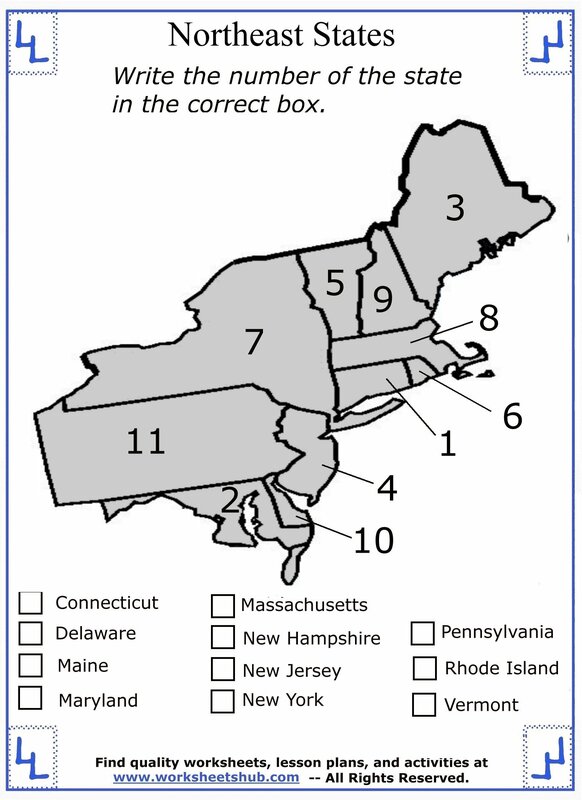 Each state is labeled with a number. At the bottom of the sheet is a list of all of the state capitals. Next to the city is an empty box. 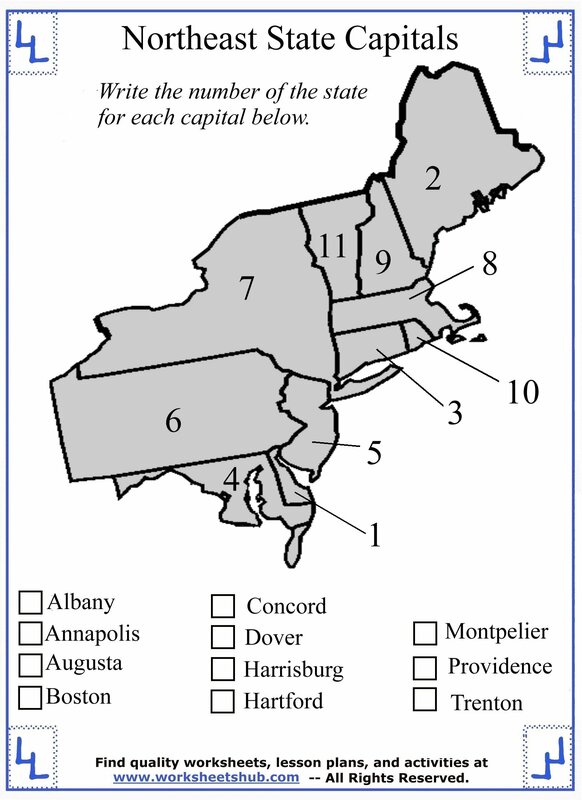 For each city, have your student write the correct number of the state in the box. Below you will find all of the worksheets for this fourth grade social studies unit. To print out your copy, simply click on the picture and then download or print it out. When you are done, you can find more social studies worksheets and fourth grade lessons.